Once you try a heated gear bag you will consider it required equipment, not a luxury or convenience item. If you find yourself struggling to get your cold ski boots on or hate putting on cold gloves, neck warmers, etc., you need a heated gear bag. Your feet and hands start warm and stay warm. A heated gear bag, like the Classic Hot Gear bag I own, warms everything up before skiing and dries it out all out when you’re done. The Classic Hot Gear bag has an internal heater that plugs into a wall socket at home and a car socket when driving. Your boots and clothing stay warm, even if you get stuck in traffic on the way to the slopes. The Hot Gear bag is also a travel bag for all your gear. 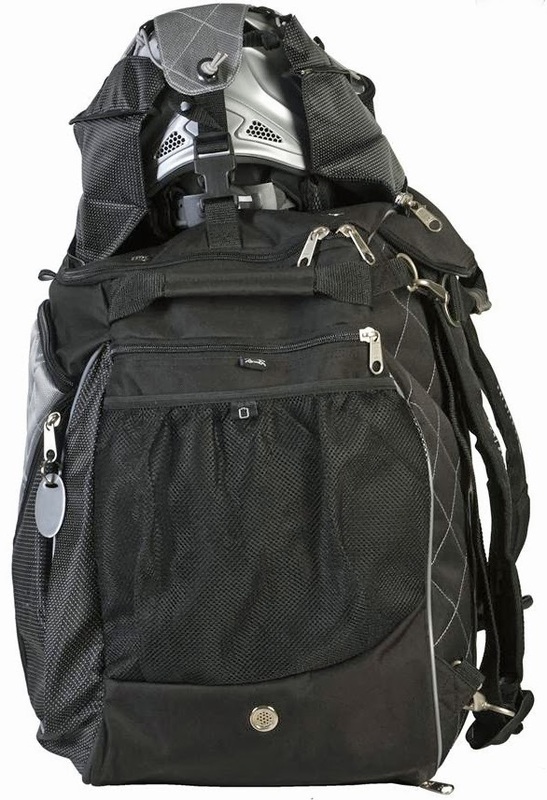 Your stuff can be stored neatly in multiple pockets and compartments. 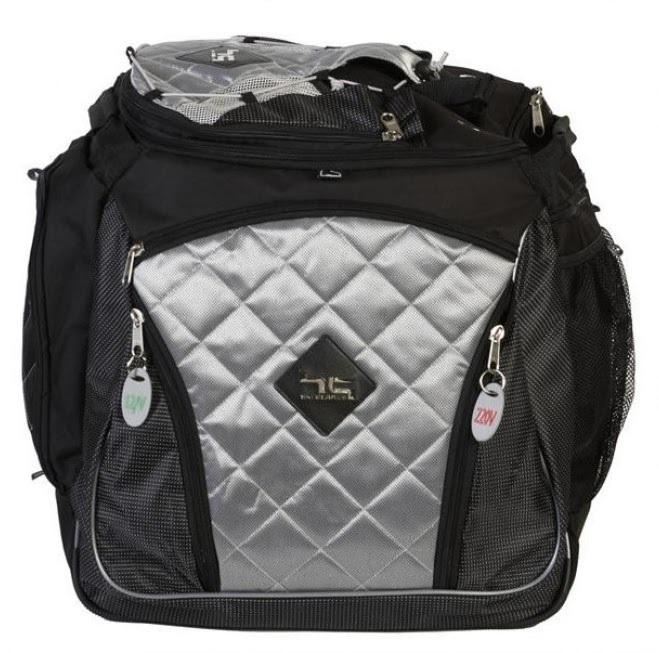 The Classic bag measures 11x18x17 inches and has a big grab handle and a shoulder strap for carrying. I bought my wife the Classic Hot Gear bag for Christmas and she loves it. She always needed help getting her ski boots on, but now her fleet glide easily into the warm and pliable boots. After seeing the positive experience my wife was having with her gear bag, I bought one for myself. My boots go on easier and my feet are warm right from the start. No more cold feet! Classic bag with Helmet attached. I will never go back to warming my boots by a fire, furnace or car heater. It doesn’t work the same. You can’t get the boot completely heated inside and out like you can in a closed bag. The Hot Gear bag is also a drying bag at the end of the day. Load your boots, goggles, and thermal wear back in the bag for heated drying. I bought both Hot Gear bags at the Start Haus in Truckee. Granite Chief also carries the Hot Gear brand. The price is around $180 for the Classic. Several other models are available. The quality of the bag and the comfort on the slopes justify the price.